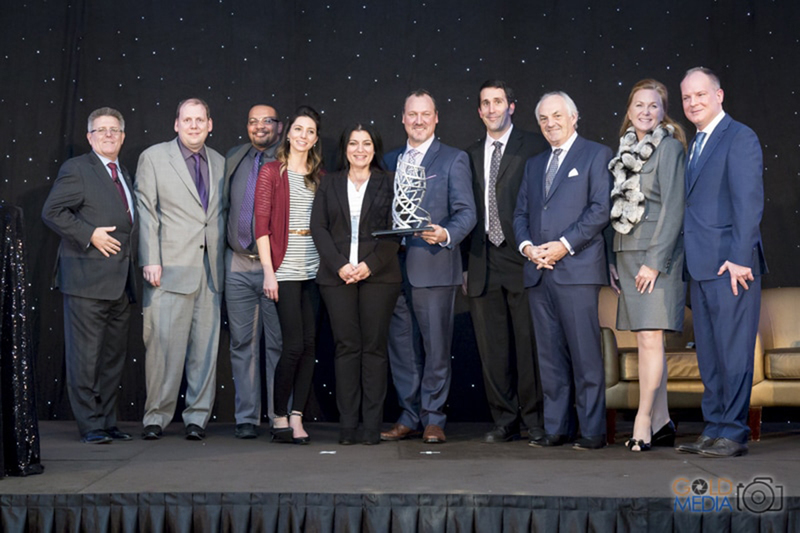 Recently ergoCentric had the privilege of being recognized with the Technology & Innovation Award by the Mississauga Board of Trade, the city where our head office is located. This public acknowledgment led me to think more about the role innovation has played in ergoCentric’s development and the conscious steps we have taken along the way to ensure our products stay relevant in this highly competitive industry. The office furniture industry is large, with the seating category alone estimated to be worth $10 billion (in North America) and it has thousands of companies participating in it. It’s mature, experiencing a slow growth rate. For firms operating in a mature market, there are not many sources of growth available, which is why launching unique, superior products with a compelling value proposition is vital. In order to vie for a share of the customer’s mind, we have had to be creative – and innovative – in differentiating our product offering from our many competitors. Customers are full of ideas. I pride myself on the fact ergoCentric has great relationships with our customers and that they feel comfortable recommending suggestions for product improvements and in some cases new products. The airCentric series for example likely would not have come into existence if not for the feedback from one of our major national customers. They told us we needed to make some aesthetic changes to our chairs and we needed to ensure their employees could understand how to use our chairs if we wanted to be considered the next time their chair contract came up for tender. Not wanting to fail the ergonomist who had been our champion within the customer organization, we listened to her suggestions and worked to develop a chair that looked great without compromising on our industry leading ergonomics. This was also the catalyst for the creation of our patented geometric shaped adjustment paddles and icon instruction plates. 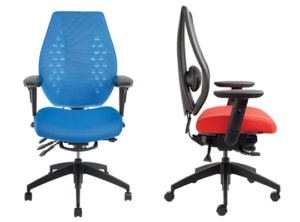 The resulting chair series was the airCentric which we think is the best high-performance office chair on the market. Don’t be afraid to fail. And don’t be afraid to admit defeat. Like in life, when approaching innovation, don’t be afraid to fail. One obvious consequence of a fear of failure is not even trying to innovate. A less obvious consequence, which can be worse, is avoiding admitting failure by never giving up on your innovative idea. Not cutting your losses when the market is telling you your new idea is not going to fly wastes valuable time, money and energy; resources that should be devoted to your next idea. I’ve seen inventors spend their whole life pushing an idea that they should have cut their losses on years ago. We’ve all heard the expression, quitters never win and winners never quit but winners don’t ignore reality. Continuous improvement is a form of innovation. It’s been a rare product that ergoCentric has launched and never revisited. Whether it’s based on feedback from our sales team, customers, engineers, designers or technological or material advances which allow us to revisit a product, I never considered a product launch a statement that the product is finished. And I’ve never had customers complain about this. Rather they appreciate the fact that we continuously look for ways to improve and modify our product offering. If the words “continuous improvement” makes you think only of fixing defects – that will limit your growth. Think instead about “continuous innovation”. It’s important to think about protecting your intellectual property (IP) from the time you have an idea. If you wait too long you may lose the right to protect it. Patents are expensive so you have to be sure your patent is worth pursuing. Despite the cost and complexity of the patent process, I don’t think it can be avoided. I won’t develop a new major product if I can’t protect it from being copied. Trademarks can be just as valuable as patents, if not more valuable, and they are a lot less expensive. I have found they are also easier to defend. Before filing your first trademark, read the book Positioning: The Battle for Your Mind. Actually, I don’t think you should start a business until you’ve read this book. ergoCentric is growing rapidly and I am sure a major reason for this is our patent-protected innovations and culture of continuous innovation. Innovation attracts new customers and new employees. It energizes and engages everyone in the company. Benjamin Franklin said there were only two things certain in life: death and taxes. But for businesses that don’t innovate, the only certainty is death.